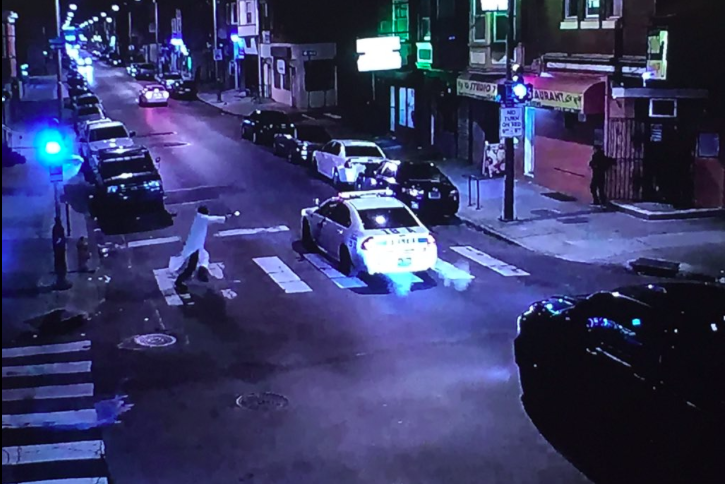 A still photo taken from surveillance camera shows Edward Archer, 30, of Yeadon, firing at Philadelphia Police car driven by officer Jesse Hartnett. At the end of his first full week as Philadelphia mayor, Jim Kenney found himself speaking at a Roundhouse press conference after police Officer Jesse Hartnett was nearly killed in an ambush-style shooting. The individual that shot the police officer doesn't represent Islam. We Muslim are outrage that he is using Islam for his madness. However, suffice it to say, this garnered quite a reaction from those who believe Islam has something – or everything – to do with what they’ve seen on the screen. A collection of those reactions appear beneath the video of the Roundhouse press conference that’s embedded below. "Whether it was Islam … whatever it was, he's a terrorist. He attacked one of our officers." "Jim Kenney you have been in office for five days and you are already a failure and a fool. You made the national news already as a idiot Islamist apologist. Could this be the shortest honeymoon period ever or perhaps the shortest term as a mayor? You showed yourself to be a clown and a fool today." “You are an idiot. Cop was shot in the name of Islam, Allah, and ISIS. and the shooter was let go on previous charges.